Around five years ago, my daughter (then about a year old) and I took a stroller-ride around our neighborhood. We sang our ABCs, hearty renditions of Twinkle, Twinkle, Little Star, and mainly just enjoyed the shade of oak trees over the road, the distant, muted swishing of traffic, birdsong, and each others’ company. Then a squirrel scampered down, looked at us, grabbed an acorn with its tiny paws, and scampered back up the nearest tree. Squirrels use their tails to communicate, so do other squirrels have a hard time reading the tail-flicks? They use their tails for balance, so does this one fall a lot? Do squirrels even care? Is it a thing? Do they spend extra time grooming their tails? How many toes do squirrels have? By the time we got back home, an entire story about a squirrel with a tail as bristly as a chewed-up pine cone was born. But like all things that are born, it has to grow. 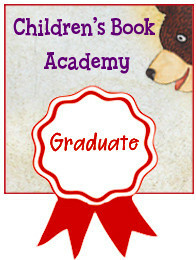 Learn new things like formatting picture book manuscripts, brevity (picture books are notoriously low on the word count), and because of this: which words paint the clearest picture, which is the most concise way to get this info across in a way both children and the parents that read this to them will enjoy, when to show and when to tell. And so, it’s with great delight that I can now announce that the picture book manuscript tentatively titled Sassafras and Her Teeny, Tiny Tail is now under contract with MacLaren-Cochrane Publishing. Can you tell I’m excited?! Still pinching myself! Sometimes your differences make you a hero. With her stubby, bristly tail, Sassafras is the laughingstock of the oak tree. But when danger strikes, the thing that makes her different might just save the day. She still has some growing to do once I receive edits from my new editor, but one day this little squirrel will have her story.